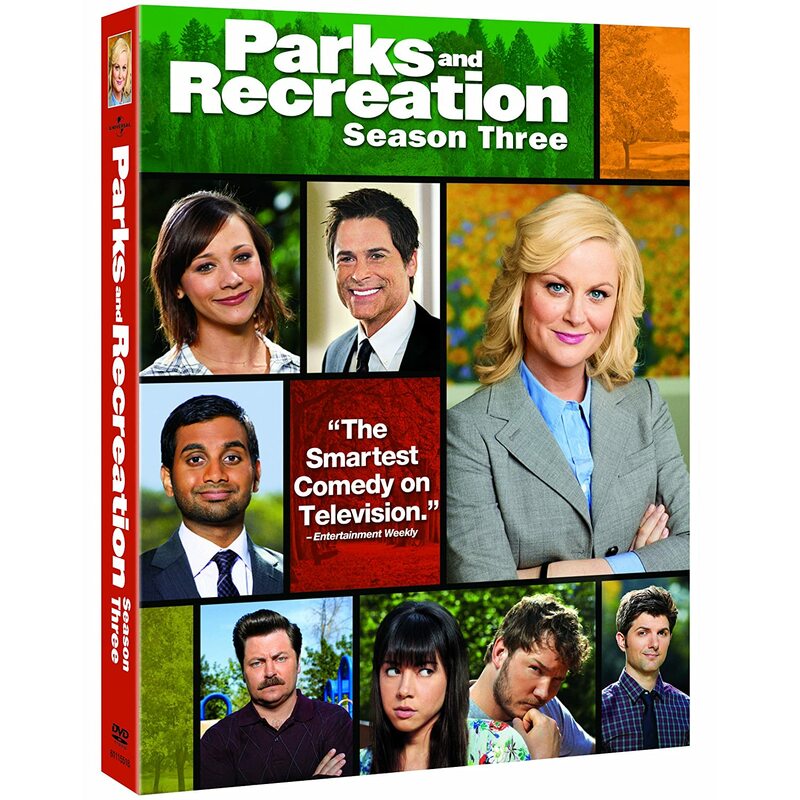 Quick Take: Parks and Recreation, "The Comeback Kid"
Review: Parks and Recreation, "The Comeback Kid"
(S0411) Parks and Recreation is, of course, great. But "The Comeback Kid" is especially great because everything clicked comedically. There wasn't a sob-inducing moment like in "Citizen Knope," but it's kind of refreshing to have an episode with a main goal of eliciting high-pitched, womanly laughter. Mission: accomplished. Leslie's new Parks Department-centric campaign staff is coming together with her decision to appoint Ann as the campaign manager. And Ann somewhat surprisingly makes a pretty strong first chess move in the attempt to get Leslie up from the basement, polling-wise. She lands an endorsement from former Pawnee High School basketball great "Pistol" Pete Disellio. The problem: "Pistol" doesn't want to be known as "Pistol" anymore. Fame has been a burden on Pete, and while he's more than willing to endorse Leslie, he refuses to coincide a "slam dunk" pun with an actual slam dunk. Meanwhile, Ron, Andy, April, Tom and Champion the Three-Legged Dog get arrested for breaking half a dozen non-Swanson laws whilst preparing to set up Leslie's campaign rally at a local basketball-turned-ice arena. Leslie heads out to talk her team out of spending any actual jail time for their crimes, leaving Ann behind to try and talk Pete into using his celebrity to help get Leslie's campaign back on track. Leslie succeeds and is able to wrangle everybody at the arena and Ann goes so far as to bring Pete, but he's unsure as to whether or not he'll commit to the dunk. Leslie wants to cancel, but Jerry un-Jerryed his job and actually got around 100 people to show up so, as the saying goes, the show must go on. And the scene that followed was the funniest thing that Parks and Recreation has done in its four seasons of very funny scenes. Tom hooked Leslie up with some red carpet to walk to the stage, but didn't have enough to reach the whole way. Adding to that, the stage itself is barely the size of a coffee table as Ron was unable to bring all of the lumber he needed to build it. Combined with the slippery surface of the ice rink, we all pretty much knew what was going to happen. And yet, this group of actors is so adept at physical comedy, their stumbles and falls and dog-passing and reaction to everything was a thing of beauty. Throw in the occasional and random interspersement of the chorus of Gloria Estefan's "Get on Your Feet" and we're talking about a good five minutes of me trying to catch my breath. There's a scene that follows with Chris and Ben (more on that excellent subplot in a moment) that I barely caught because I was still laughing too loudly. Finally Leslie makes it on stage and gives a pretty endearing speech in spite of the mishaps of actually getting to the stage (and as her former campaign team curiously watches on). But it almost seems like it's going to be a concession speech until Pete Disellio appears, ready to dunk the basketball while endorsing Leslie. And, of course, he slips on the ice and breaks his arm. But regardless, it's a big moment of publicity and a big endorsement for Leslie and should bump her to at least 2% in the polls (if not higher). I had previously mentioned Ben and Chris' subplot dealing with what actually goes on during Ben's siesta from employment, but I need to focus on Adam Scott's performance tonight specifically. Scott has the sometimes unenviable task of playing Parks and Rec's straight man, and in a world as loony as Pawnee, it's a necessary role. Sure, he's had many, many funny moments throughout his tenure, but they're often less broad than those performed by Aziz Ansari or Chris Pratt or even Nick Offerman (not saying broad comedy is a bad comedy either, though it's unfortunate it can become synonymous with it). But tonight, Ben's spiral into an self-unnoticed depression brought out a hilarious comedic shift in his character. Two scenes in particular stood out: the well-thought out sales-pitch for his healthy calzone restaurant and the sudden realization that the claymation movie "Requiem for a Tuesday" he has been spending a week on is roughly three seconds long. From the line reads to the subtle facial shifts, it's an all-around great performance and if he wants to jump into the Emmy race next year, this would be a great episode to submit. Once he realizes how quickly his life has spiraled into a Letters to Cleo-esque shame spiral, Chris suggests...something. Like I said, I missed that scene (I really need to get a DVR). I'm guessing based on context it was to, I don't know, work out or something? Or relax? Maybe it was to relax. But whatever Chris' advice was, it doesn't matter because Ben ignores it when Leslie asks him to run his campaign, ignoring what their relationship might mean for her chances. And by the laws of television, we know that Leslie will at the very least get competitive in the race. But it's kind of interesting to predict whether or not she will actually win. I could honestly picture either outcome. Nonetheless, it's pretty brilliant of the writers to coincide Leslie's city council election with the real world presidential election just as it is really heating up. Just like election years bring out the best of The Daily Show and Saturday Night Live, a politically-infused thread running through Parks and Rec could easily do the same. Ben is reading the book "Did Somebody Say Calzone?" He also refers to his claymation movie as his "claymashe." "Pistol" Pete asks Ann out in the closing credit sequence and she tries to get out of it, but Leslie is all about setting her up. Which doesn't help when Ann lies and said she is married and Leslie disagrees aloud. Leslie break dances better when she's falling on ice than when she is actually attempting to break dance. Seriously though, what was Leslie's old campaign team doing at her speech? Just showing their support or is there some other motive, possibly of the ulterior variety? Yes, I listened to "Get On Your Feet" on Spotify immediately after the episode. Fantastic to see you back in action Mike ! Well done. We should start calling you The Comeback Kid, Mike. God, did Adam Scott slay me last night. I kinda wish he hadn't accepted the campaign manager position, I was looking forward to more of depressed Ben and his wacky hobbies.